Football is more than just a game; it teaches lessons that the players carry with them long after they've hung up their cleats. Teamwork, discipline, perseverance, goal-setting, handling success and failure, time management, and keeping fit. A 2013 study of the impact of sports in general on young athletes concluded that sports have positive effects on the youth and adolescent physiological and social development. Football requires a unique brand of teamwork. When you are a part of a football team, sometimes with up to 90 other players, understanding your role and that of your teammates is critical. Trusting teammates to do their job is also of utmost importance. All teammates count, including players on the second and third string. The emotional ups and downs that a team may experience help to build trust over time. Football requires discipline and a solid work ethic. Showing up for practice on time, following the team rules, and learning the plays are all keys to success on the football field. 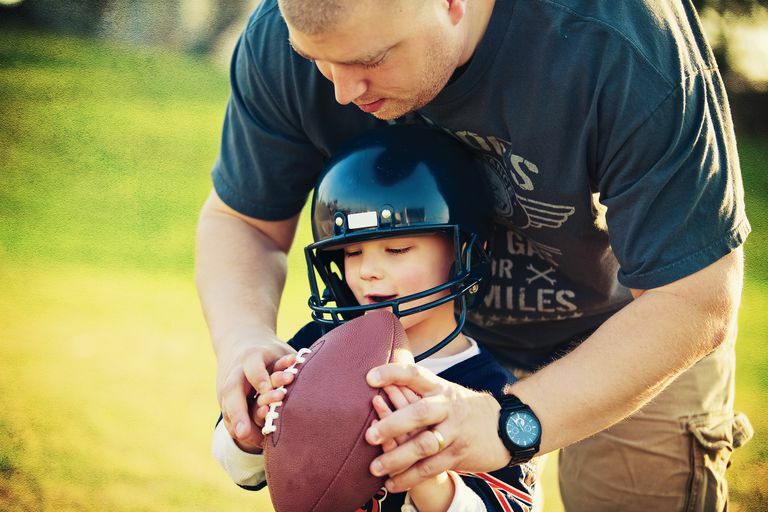 When the player's football career is over, he can apply what he learned about discipline to his career and family life. A successful adult shows up for meeting and appointments on time, takes the initiative to improve his skills, and understands and follows the rules of his company and, on a larger scale, the laws of his community. Football provides a variety of challenges that test and help to build a player's perseverance. Common pitfalls like losing a big game, not making first string, or missing a play that results in a score for the other team are much like life—roadblocks that are inevitable. Even physical challenges, such as not having enough strength or not being as fast or as good at catching a ball, may even tempt a person to quit. Football teaches perseverance, sticking with it even while it is tough, whether it be a financial setback, a personal problem, or a failure to get a key promotion at work. Like so many sports, football is awash in statistics: points scored, rushing yardage, passing yardage, catches, tackles, sacks, and blocks, among others. With the help of his team and coaches, the young player learns to set goals and work toward achieving those goals. There are a number of team-oriented goals as well, which help a player be accountable for achieving his expectations as part of the team. Goal-setting is crucial for success in the business world and in your personal life. For example, if your goal is to buy a house for your growing family, you need to make a plan to ensure you can afford the home of your dreams. Playing football teaches the young players how to handle both success and failure. Very few football teams remain undefeated, so at some point, they must learn to accept a loss but also learn from it to become stronger as individuals and as a team. They learn not to blame the loss on anyone but to focus on how they can improve. Just as important as learning how to handle failure is learning how to handle success. No one likes a poor winner. Acknowledging the hard work of the losing team by shaking hands at the end of the game teaches character. 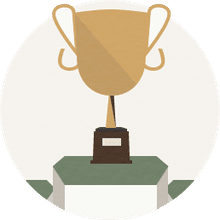 Someone who is gracious win or lose on the football field grows into a co-worker or supervisor who gains the respect of his work team as well as clients and customers. How Many Ways Can a Football Team Score Points? What Are Some Tips for Playing Wide Receiver in Football?